Electronics in one or the other form of its applications, at one hand is growing to reach each and every person and on the other hand it is being developed in various modes like spintronics, diamond electronics, rollotronics, graphine electronics, nano electronics, molecular electronics and same is the case with electronics displays coming in the form of Cathode ray, Liquid crystal, plasma, field emissive to non-emissive displays. Plasma electronic applications in microelectronic device fabrication explain the fundamental physics and numerical methods necessary to bring these technologies from the laboratory to the factory. Without plasma processing techniques, recent advances in microelectronics fabrication would not have been possible. But beyond simply enabling new capabilities, plasma-based techniques hold the potential to enhance and improve many processes and applications. They are viable over a wide range of size and time scales, and can be used for deposition, etching, and even process monitoring and diagnosis. 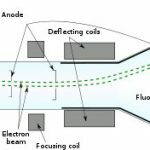 The main directions and achievements in plasma electronics research encompasses fundamental plasma investigations, the wave and oscillatory properties of plasmas, various instabilities, and turbulence in plasmas, with the purpose of achieving significant increases in the limiting currents, powers, and energies of beams as compared with the limits of vacuum technology. Aspects of research include the plasma-beam discharge, beam heating of a plasma, control of beam instabilities, linear and nonlinear transformation of waves in inhomogeneous nonequilibrium plasmas, and methods of accelerating charged particles by means of charge density waves. Plasma is a name given to a gas made up of free-flowing ions and electrons under some requisite conditions of existence and with some exotic characteristics also termed as fourth state of matter. Under normal conditions, a gas is mainly made up of uncharged particles. That is, the individual gas atoms include equal numbers of protons and electrons. 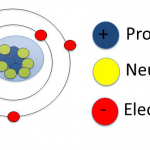 The negatively charged electrons perfectly balance the positively charged protons, so the atom has a net charge of zero. By introducing many free electrons into the gas by establishing an electrical voltage across it, the situation changes very quickly. The free electrons collide with the atoms, knocking loose other electrons. With a missing electron, an atom loses its balance. It has a net positive charge, making it an ion. In plasma with an electrical current running through it, negatively charged particles are rushing toward the positively charged area of the plasma, and positively charged particles are rushing toward the negatively charged area. ¬In this mad rush, particles are constantly bumping into each other. These collisions excite the gas atoms in the plasma, causing them to release photons of energy which can be converted into light. For the past 75 years, the vast majority of televisions have been built around the same technology: the cathode ray tube (CRT). Cathode ray tubes produce crisp, vibrant images, but they are very bulky and spacious. In order to increase the screen width in a CRT set, the length of the tube has to be increased (to give the scanning electron gun room to reach all parts of the screen). Consequently, any big-screen CRT television is going to weigh a ton and take up a sizable chunk of a room. A new alternative has popped up on store shelves as plasma flat panel display. These televisions have wide screens, comparable to the largest CRT sets, but they are only about 6 inches (15 cm) thick do so much in such a small space. A plasma television works similarly to a standard TV set, except that instead of cathode ray tubes, there is a flat plasma panel that consists of millions of tiny cells similar to fluorescent light bulbs. Based on the information in a video signal, the television lights up thousands of tiny dots (called pixels) with a high-energy beam of electrons. In most systems, there are three pixel colors — red, green and blue — which are evenly distributed on the screen. By combining these colors in different proportions, the television can produce the entire color spectrum. The basic idea of a plasma display is to illuminate tiny, colored fluorescent lights to form an image. Each pixel is made up of three fluorescent lights — a red light, a green light and a blue light. Just like a CRT television, the plasma display varies the intensities of the different lights to produce a full range of colors. Although plasma TV were developed the first time in the sixties, they only really started to become available towards the end of the nineties where the numerical revolution struck the first time our screens. Xenon and neon atoms, the atoms used in plasma screens, release light photons when they are excited. Mostly, these atoms release ultraviolet light photons, which are invisible to the human eye but ultraviolet photons can be used to excite visible light photons. The xenon and neon gas in a plasma television is contained in hundreds of thousands of tiny cells positioned between two plates of glass. 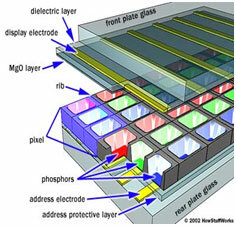 Long electrodes are also sandwiched between the glass plates, on both sides of the cells. The address electrodes sit behind the cells, along the rear glass plate. The transparent display electrodes, which are surrounded by an insulating dielectric material and covered by a magnesium oxide protective layer, are mounted above the cell, along the front glass plate. Both sets of electrodes extend across the entire screen. The display electrodes are arranged in horizontal rows along the screen and the address electrodes are arranged in vertical columns. As you can see in the diagram below, the vertical and horizontal electrodes form a basic grid. To ionize the gas in a particular cell, the plasma display’s computer charges the electrodes that intersect at that cell. It does this thousands of times in a small fraction of a second, charging each cell in turn. When the intersecting electrodes are charged (with a voltage difference between them), electric current flows through the gas in the cell. The current creates a rapid flow of charged particles, which stimulates the gas atoms to release ultraviolet photons. The released ultraviolet photons interact with phosphor material coated on the inside wall of the cell. Phosphors are substances that give off light when they are exposed to other light. When an ultraviolet photon hits a phosphor atom in the cell, one of the phosphor’s electrons jumps to a higher energy level and the atom heats up. When the electron falls back to its normal level, it releases energy in the form of a visible light photon. The phosphors in a plasma display give off colored light when they are excited. Every pixel is made up of three separate sub-pixel cells, each with different colored phosphors. One sub-pixel has a red light phosphor, one sub-pixel has a green light phosphor and one sub-pixel has a blue light phosphor. These colors blend together to create the overall color of the pixel. By varying the pulses of current flowing through the different cells, the control system can increase or decrease the intensity of each sub-pixel color to create hundreds of different combinations of red, green and blue. In this way, the control system can produce colors across the entire spectrum. Many of the first plasma displays on the market weren’t technically televisions, because they didn’t have TV tuners. The television tuner is the device that takes a television signal (the one coming from a cable wire, for example) and interprets it to create a video image. Like LCD monitors, these plasma displays were just monitors that display a standard video signal. To watch television on them, you had to hook them up to a separate unit that has its own television tuner, such as a VCR. Today, most of the plasma-screen devices you can buy at electronics stores are TVs and have digital television tuners. • The main advantage of plasma display technology is that you can produce a very wide screen using extremely thin materials. • Because each pixel is lit individually, the image is very bright and looks good from almost every angle. • Qualities of imaging with higher resolution, a lack of lines of sweeping and an increased exactitude of color. • These entire devices combine together to create an extremely realistic experiment of viewing. • The biggest drawback of this technology has been the price. However, falling prices and advances in technology mean that the plasma display may soon edge out the old CRT sets. • The image quality isn’t quite up to the standards of the best cathode ray tube sets, but it certainly meets most people’s expectations. 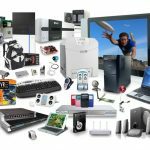 • First-generation plasma televisions have picture degradation issues, and third- and fourth-generation plasma TVs consumes more power than LCD televisions.